Every investor must realise the magical power of compounding. Every investor must realise the magical power of compounding. Investing early is as important as investing wisely. And when you begin investing early, you enable the power of compounding to start working to accumulate greater wealth over the long term. 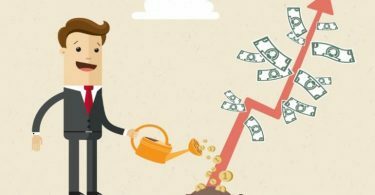 The later you begin to invest, the lesser you would be able to reap the benefits of compounding, and therefore get lower returns on your investment. Each investment you make should have a specific goal allotted to it so that you know the exact corpus and time you need to achieve it. Not tying your investment to any financial goal may lead to wrong investment decisions. For example, investments for retirement would have a time horizon of 30-35 years for a 25-year old. Investing for child’s higher education may have a horizon of 10-15 years. Hence, your investment decision, which includes where to invest, how much to invest and till when to invest, should depend on the financial goals attached to them. Asset allocation is key for efficient long-term financial planning. It simply means distribution of your savings across different investment types, such as debt, equity, gold, real estate, etc. Over the long term, asset allocation has a greater impact on your investment’s returns, than market timing. Earmarking a portion of your portfolio for emergency funds and short-term goals would help in maintaining liquidity in your asset mix. Make sure your asset allocation strategy is in alignment with your risk appetite, returns expectations and financial goals. Equities have, for long, been the most suitable asset class to invest for long-term goals (5 years and above). They not only outperform almost all other asset classes, but also provide inflation-beating returns over the long term. For the dual benefit of tax saving and long-term equity investment, explore the option of equity linked saving scheme (ELSS). Whether you are a new investor or an existing one, to avoid the risk of market timing, it’s wiser to invest in equities through SIP (Systematic investment plan) route. SIPs allow you to maintain a disciplined approach towards creation of the desired corpus, by auto-debiting the set amount on the preset date and frequency. Creation of long-term wealth not only involves fulfillment of long-term financial goals, but also the maintenance of an adequate emergency fund. While you stay invested for long term, make sure you have built a sufficient emergency fund, which should ideally amount to at least six times your monthly expenses. No matter what actions you take regarding your investments, whether it’s rebalancing your portfolio or a change in financial goals, your emergency fund shouldn’t be disturbed. For long-term wealth creation, patience is the biggest virtue. Short-term market movements shouldn’t be the driving force behind your investment decisions or related actions. Practising patience and staying invested would ultimately reap the desired benefits and returns. Re-evaluate your investment decisions, like choice of funds, only if they underperform for a significant period of time.